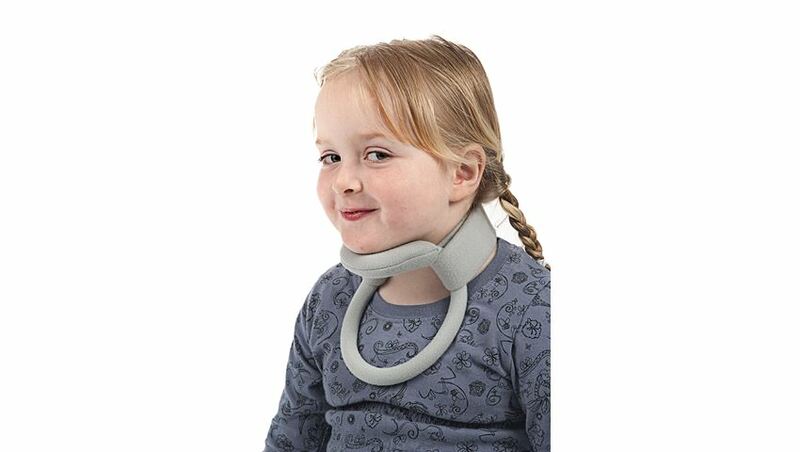 Headmaster Collar, Pediatric provides excellent support and control. Open design is cool and unobtrusive to wear. Bend manually for custom fit. Soft rear strap with hook-and-loop closure. Neck pad attaches to the inside rear of the neck strap for extension support. Place the pads lateral to the occiput. Bend to a comfortable fit. Neck pad and neck extension pads are totally cloth-covered. Sizing: Measure from center of chin to corner of jaw. If measurements fall between sizes, choose smaller size.